The Byre is a beautifully restored barn on Ropers Walk Farm with breathtaking views in all directions. 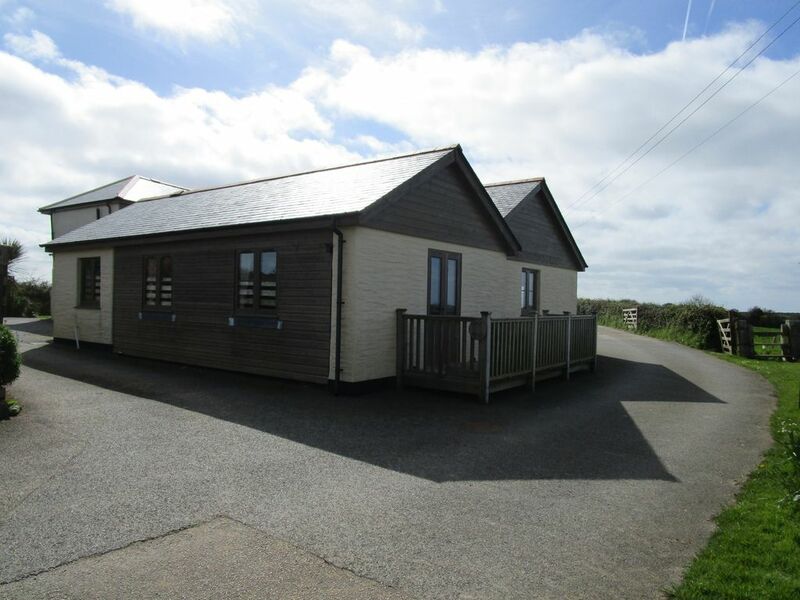 The location is extremely peaceful yet only a 2 minutes walk from the local amenities. The Byre is a beautifully converted former cow shed with a spacious, comfortable and modern living space and kitchen. The views over rolling farmland towards St Agnes Beacon are beautiful and the garden and pond out the front catch the often spectacular sunsets over the sea to the West. You will have access to 40MB broadband during your stay. The bedrooms are peaceful and spacious. The main bedroom has an en suite wet room, the second bedroom (and sofa bed!) use the main bathroom. As well as the garden and pond there is a footpath that runs past this over the fields to the scenic valley of Parc Shady and on down to Porthtowan. All guests are welcome to access our fields that lie to the front of the property. High-chair and cot available on request. This property is next door to The Corn Store ref HAUK10050415 and can be booked together for friend/family groups to sleep up to 10 guests. We moved with our 3 young children from Devon to Mount Hawke 10 years ago to run our veterinary practice - Tom is a vet and I'm a vet nurse. We now live just around the corner and absolutely love it here! We can cater for disabled visitors - please get in touch if you need further information. The Byre disabled holiday accommodation is single storey on a level site offering spacious and quality accommodation.